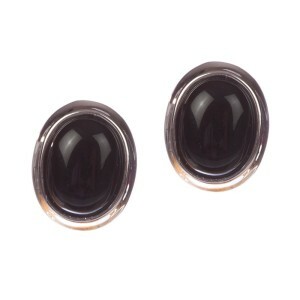 Beautiful black onyx cabochon bezel set in startling silver. 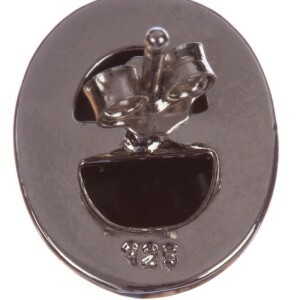 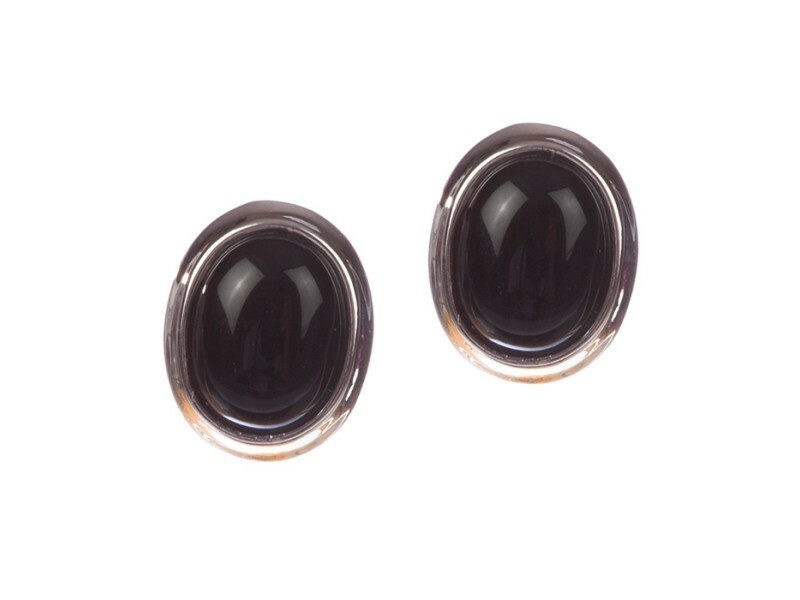 Onyx cabochon measures 10.5 mm’s by 8.5 mm’s. 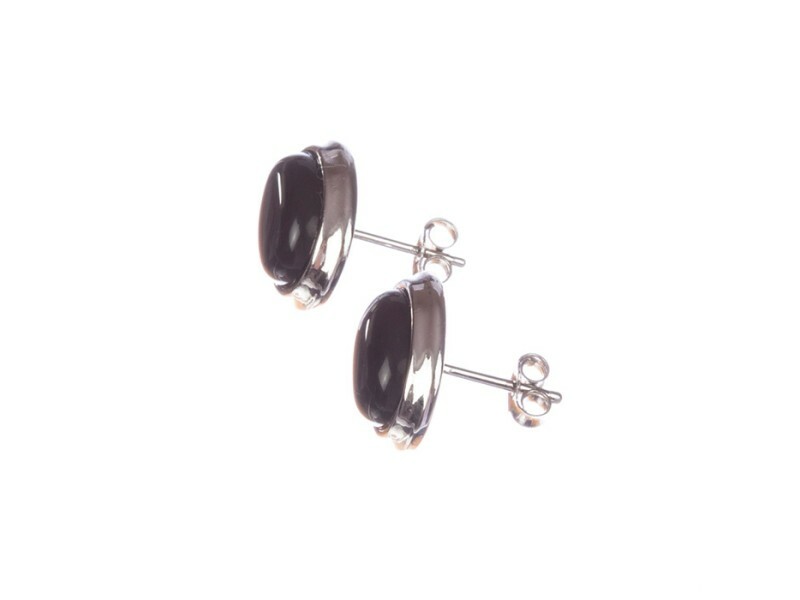 The pair weighs, 3.9 grams. 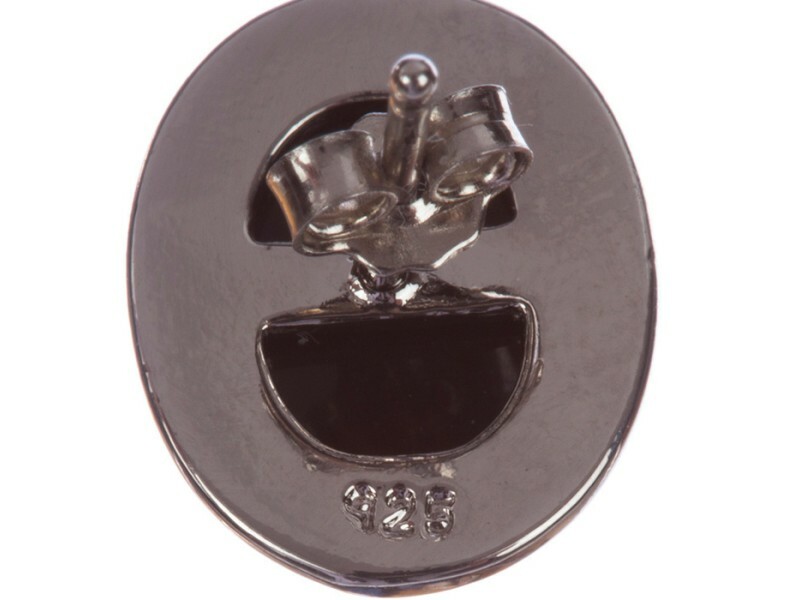 Marked, "925" for sterling silver and acid tested. 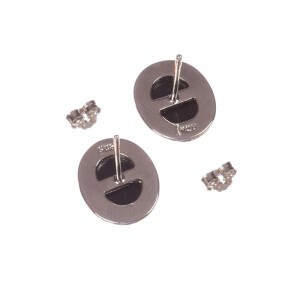 Earrings are for pierced ears. 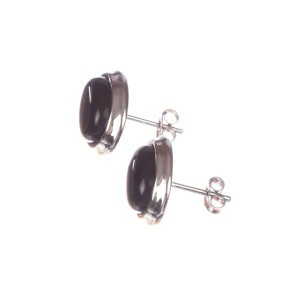 Great addition to an evening dress or just everyday use.